All of these notions would be super helpful and since I don't own any of them, this would be a fabulous win!! The Stick and Stitch Guide really interests me and I just might get one for myself. 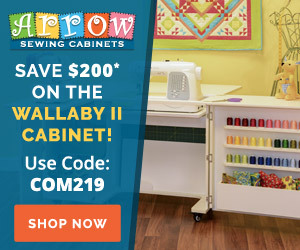 I already use the patchwork pins, but the iron looks really handy! Thanks for the recap Afton! I'm going to look for the stitch guide, and I'm still after that iron! Some new to me stuff here. 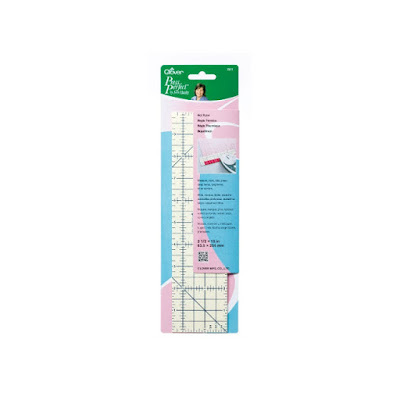 I've always wanted to try the hot hemmer, but this hot ruler is even better! Thanks for the opportunity to win! 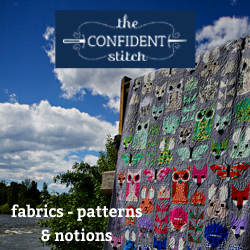 I wouldn't mind giving the Stick n Stitch Guide a try! I am going to look for the Iron Shine Cleaning pen. This was a really fun and informative series Afton! Several items I have used and several I would love to try! Because I just bought a not so great iron cleaning tube...and it didn't work well at all...I think the Iron Shine Cleaning pen is my pick! I need the hot ruler! Thank you for the information about these products. That Hot Ruler would be the ticket! The Fine Patchwork Pins. 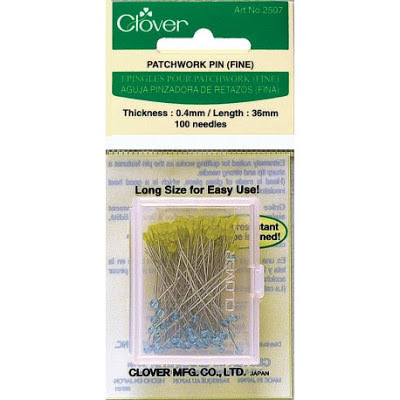 WOW...I've always had mis aligned seams...and have melted a few of those quilting pins..so I'm off to find some Clover Fine Patchwork Pins. Thank you Afton, all 10 were exciting and I appreicate the tips and research you did to enlighten us sewists/quilters. Those patchwork pins have been a great addition to my sewing supplies. This has been a terrific round up - thank you! I need self threading needles for burying my threads after machine quilting. I would choose the Iron Shine Cleaning Pen. I've bought many products over the years, but great to know that this one actually works. 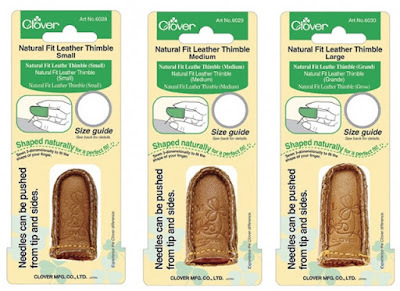 The Natural Fit Leather Thimble sounds like it's the answer to my hand-stitching problems! I would love that one, for sure! Since I just recently started machine embroidery, I think the Wedge Iron would be perfect for attaching the appliqué pieces down in the hoop. 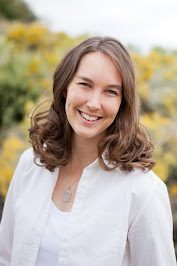 Thanks for sharing all these great notions! I love those Wonder Clips, but the Iron Shine Cleaning pen is something I sure could use right now. I loved hearing about all these notions! I think the Iron Shine is definitely at the top of my list right now. I've been using (more like avoiding) a different product lately and it is SO stinky! The wedge iron would come in very handy at my house; it would be great to set it up at a little station right by my sewing table. I do love Clover notions better than other brands. 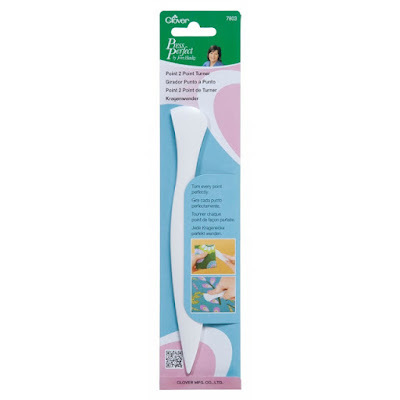 I use the Wonderclips, but the self-threading needles are the best for these aging eyes!!! I'm excited by those fine patchwork pins. Love to work with pins that are sharp. Thank you! I love the Wonder Pins! I want them ALL. Well, maybe not the leather thimble, but certainly everything else!! I'm totally in love with the clips (who doesn't?) and somewhere I lost my hera marker, so I need that. I can't forget the hot ruler (I loved the demo), and I could go on and on, but just throw my name in the hat, please! Thanks, Afton. This has been a fun series. So many look so useful and I hardly have any of them. I think the Point 2 Point Turner looks great and so do the pins. Thanks for sharing your reviews of all of these useful items! I've never seen the Iron Shine Cleaning pen before but it looks awesome. 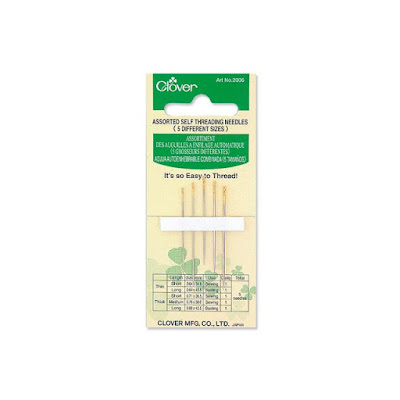 Love Clover products, they always work so well. Some of these are familiar to me and some are new but all look very useful! Thanks for the info and for the chance to win! Self threading needles- I have never used one, let alone seen one in Australia! Thanks for introducing all these great notions! I love the combination hera marker and point turner. I would really like that iron. Could use it for my class carry around. I want them all! But, if I had to choose just one, it would be the hot ruler -- it would make pressing up hems a lot quicker and easier. So many of these are new to me! My iron is desperate for a good shine. All the notions are new to me, I need them! It's a hard choice to make! The Fine Patchwork Pins excites me the most. I tend to miss a pin or two while I am ironing. 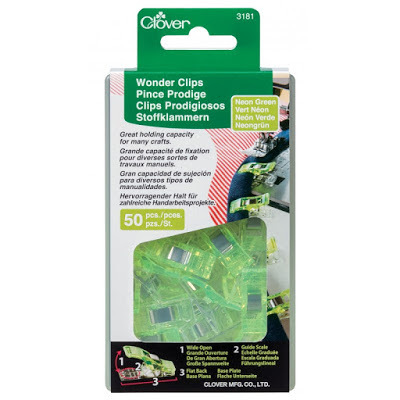 I LOVE Wonder Clips...I have them in three sizes. This is a great post to keep us informed. Thank you. Several after the tools are new to me. The Wedge Iron looks perfect for machine-side pressing. 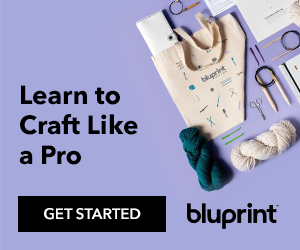 I use (and love) several of the notions you mentioned, but I'm intrigued by one I haven't seen before: the Stick n' Stitch Guide looks really useful! I have never seen the 6 in 1 stitch quite, very interesting! I'm torn between the hot ruler and the iron cleaning pen. And I tho't I had all quilt notions checked out. I have never seen the hot ruler but it looks fabulous. The hot ruler intrigues me. I love the look of that iron! The hot ruler! Even with a good eye and ruler it's hard to keep that 1/4or 1/2in turn under from waving once you get to the iron! The point turner would have been really helpful in some of my recent sewing. I have been using the Clover fines pins for a couple of years and they do a great job when it comes to matching seams and getting precise points on triangles. The stitch guide looks like it would help my seams be more accurate. I like the look of the stitch guide! And the tiny pins sound great! I really think I need the Iron Shine Cleaning pen. This was a very informative post. I do not have a lot of these items. I like the hot ruler. I really need those easy threading needles ! 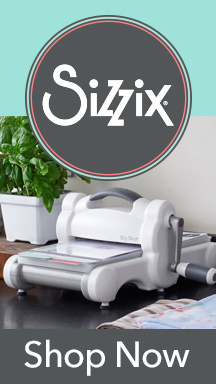 I love gadgets, and you have shown me some great "need to have"s! Very neat! I only have wonder clips, so the rest would be new to me! Thanks for sharing!!! Those pins look great as does the ruler I can use with my iron...yay! I love leather thimbles and this is one I've never seen. I'd love to try one! I have to admit, I don't have any of those! The point to point turner sounds like something I'd get tons of use out of though! 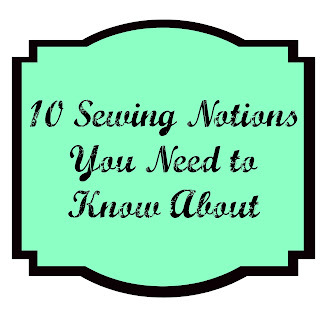 I am so anxious to try the self threading needles, but, after quilting for over 50 years I have very few of these 10 must haves. I love the travel iron the most. I would love to try these notions. These 10 sound really helpful. 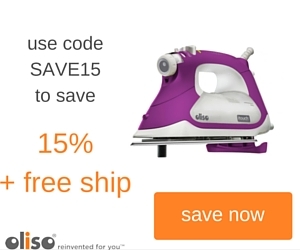 That iron cleaner sounds amazing! I had a hard time deciding about which I was more excited about. I love the idea of the hot ruler and the bodkin is something I could really use. Threading needles is a bit tough for me these days also, they all are things I would use. I am interested in the stick and stitch! Thanks for the list of notions. All look great, and I own and use several of them. 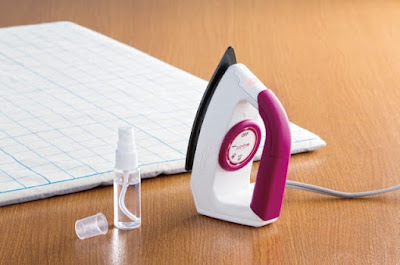 The one I haven't seen and would love to try, is the iron cleaner. I hate that task and am always on the lookout for something new. Thanks for the opportunity. I sure would like the Stick and Stitch Guide. I like that the "stick" doesn't wear out.